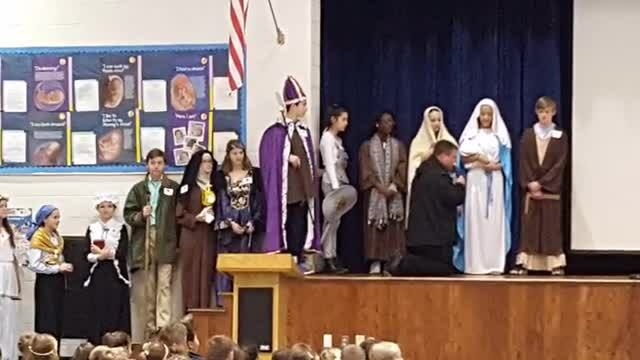 St. Louis School 8th Grade students representing their Confirmation saints perform a "Saints Alive!" 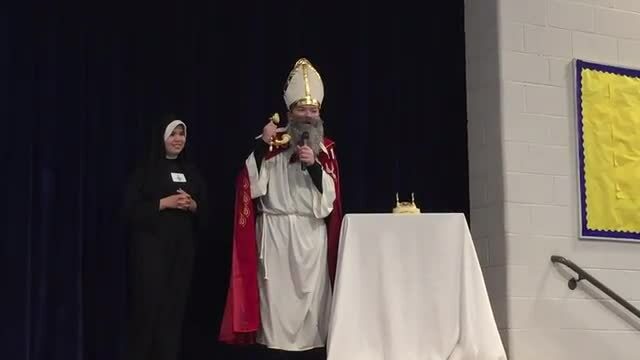 skit to kick off Catholic Schools Week 2019. 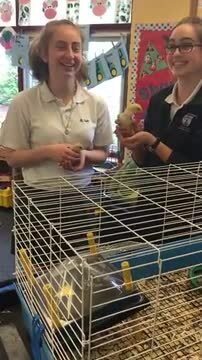 The chicks have arrived in the St. Louis Preschool! 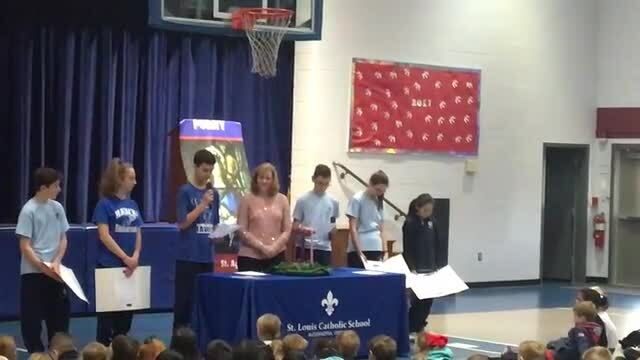 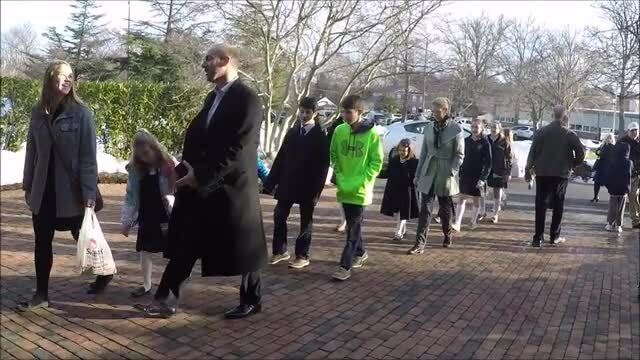 Lighting of the Advent Wreath at the December 4th morning assembly.